Everyone needs to review Excel files and spreadsheets at point of time, but everyone might not have Microsoft Excel installed on their computer or laptops. The Free Excel Viewer is the perfect tool for such users. It allows users to view excel files in any version of excel. When excel files are sent to multiple users, not everyone has the need to edit or make changes to the spreadsheet. Many users have the need to only view these files. The Free Excel Viewer is very useful for this purpose. It allows users to view excel sheets in the exact format as Microsoft, without having to make changes. It does not take up space on the computer drive, and organization users do not need to pay to use the Free Excel Viewer. The user interface is the same as any Microsoft excel file, except for the omission of the formulae and editing bar. It displays different sheets in exactly the same fashion as Microsoft Excel. When Excel documents are shared between a large numbers of people, there is always a danger of the file being corrupted or data being lost with everyone having access to edit files. The Free Excel Viewer comes across as an easy solution to this problem. Since not everyone has access to make changes, the chance of corrupted files is lesser. 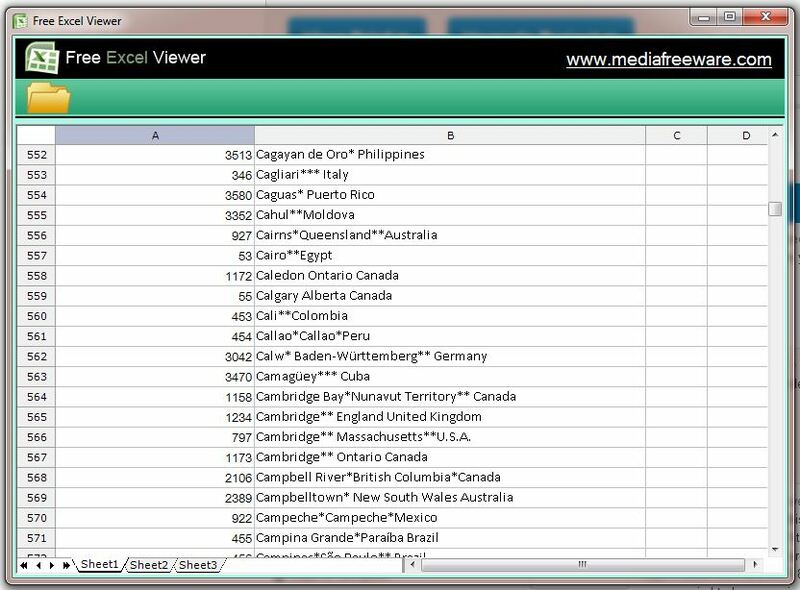 The Free Excel Viewer reduces the risk of this, and also recovers data to some extent in case the file gets corrupted. Since this works online, the Free Excel Viewer is also handy for professionals on the go, since they can review excel spreadsheets on their mobiles or smart phones, in the original format. Another interesting feature of the Free Excel Viewer is that it supports all excel versions, from server 2003, Vista, XP Excel 2007 and Excel 2010.